As the holiday season is rolling around, I have decided that Pinterest is in fact a holiday obsession! Seriously! I have been spending hours on Pinterest looking up cute and yummy things to fix for my family, and I am super in love with so many things! Here are some of my favorites! When I found this recipe, I was looking for something easy and fast to fix for Saturday brunch for me and Joshua. I also wanted something that I could make with very few ingredients. 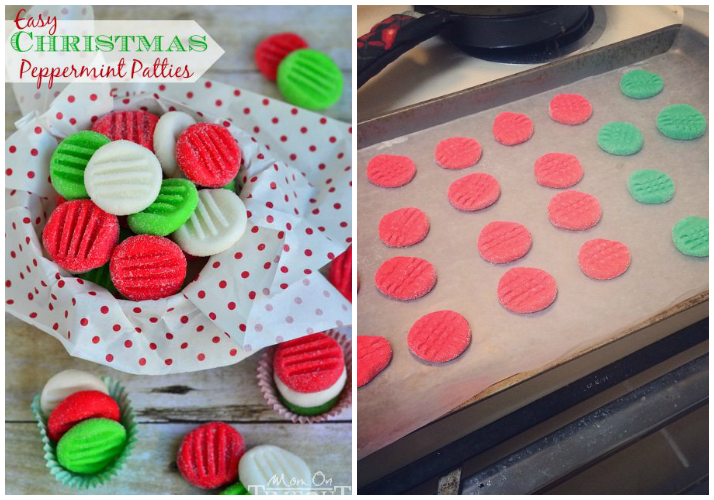 I got this recipe from Yummy Mommy Club, and of course, I made a few tweaks! Maija's is on the left and mine is featured on the right! The idea behind this thing (I call it a pop-over because I like the sound of it), is scrambled eggs with cheese and bacon wrapped in a biscuit! Maija used cheddar cheese, but Joshua and I like a little kick every now and then, so I used pepper jack. 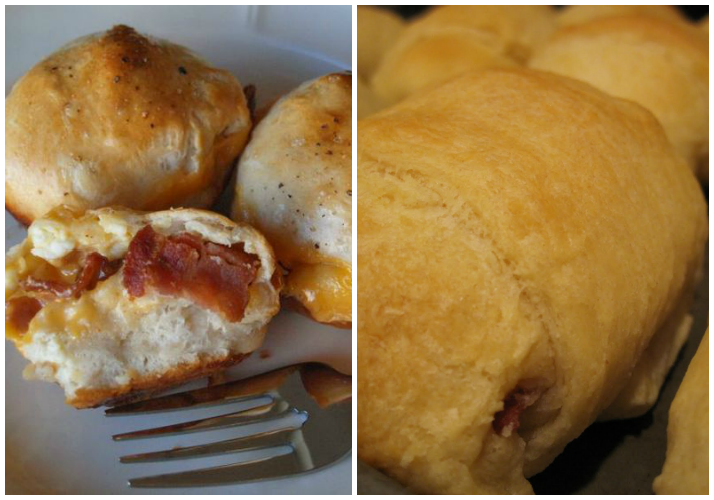 I also used crescent rolls, because I didn't have any biscuits. The results? Joshua loved them!! He was so shocked that he enjoyed them, and he went out Saturday night to by more crescent rolls so we could make more for Sunday! Overall, this was a win! I love peppermint patties! That is a huge understatement, but I cannot express in words how much I love peppermint patties!! Joshua sometimes brings me some home, and I know right then and there that I have picked the best man alive to marry! I love everything about them, including putting them in the fridge, and breaking them in half by my ear so that I can hear the minty part separate with a crispy little "puh!" I pinned this last year, and bought the ingredients, but I never got around to making them. Not this year!! This year I made it happen! I got this recipe from Mom on Timeout, and once again, her's is on the left and mine is on the right! I definitely did not get five dozen, but I did get just short of four dozen. This was actually pretty messy, so I ended up wearing gloves while I was kneading the dough. That helped a lot! The result? I followed this recipe to a tee, and mine came out great! It is rare that I am 2 for 2, but Joshua loved these too!! I had white ones too, but I did not get them in this picture. Definitely went out, bought more ingredients, and I totally intend to make them again this holiday season! Joshua is pretty happy about it! I realize that I cannot eat these, but they do have to be baked, therefore, I included them! Last year, Joshua and I bought our first Christmas tree together, and this year we wanted to continue that tradition. Just like everything, the tree prices had gone up and our little 4' tree cost about $35, which is pretty high! In order to stay within our decorating budget, and not spend a fortune on ornaments, I immediately Pinterested a way to make ornaments! Ta-da! 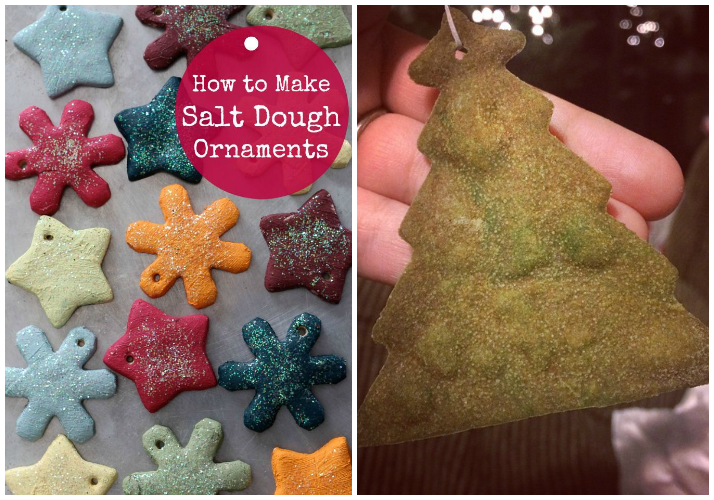 The salt dough recipe! I found this recipe on Mommypotomus, and her beautiful ones are on the left, and my interestingly brown one is on the right. I liked the idea of this because they were pretty simple to make, didn't involve many ingredients, and if they broke, it is okay. The result? These are really fun! I definitely enjoyed making them, and I like how they look on my tree! I am not sure if I over baked mine, but mine turned out a little brown. It is totally fine though because they look cute, and Phoenix has enjoyed chewing on them as well. They fit our little tree perfectly! Overall, I have really enjoyed our little baking projects, and they all turned out wonderful! My favorite parts are the memories that I made with the people I love! That is always important around this time of year! I definitely feel like all of these little treats will become part of our family traditions! Are you doing any cute Pinterest projects with your loved ones!